Last Sip of Tang – Lisa David, artist. Wait- I'm an artist? 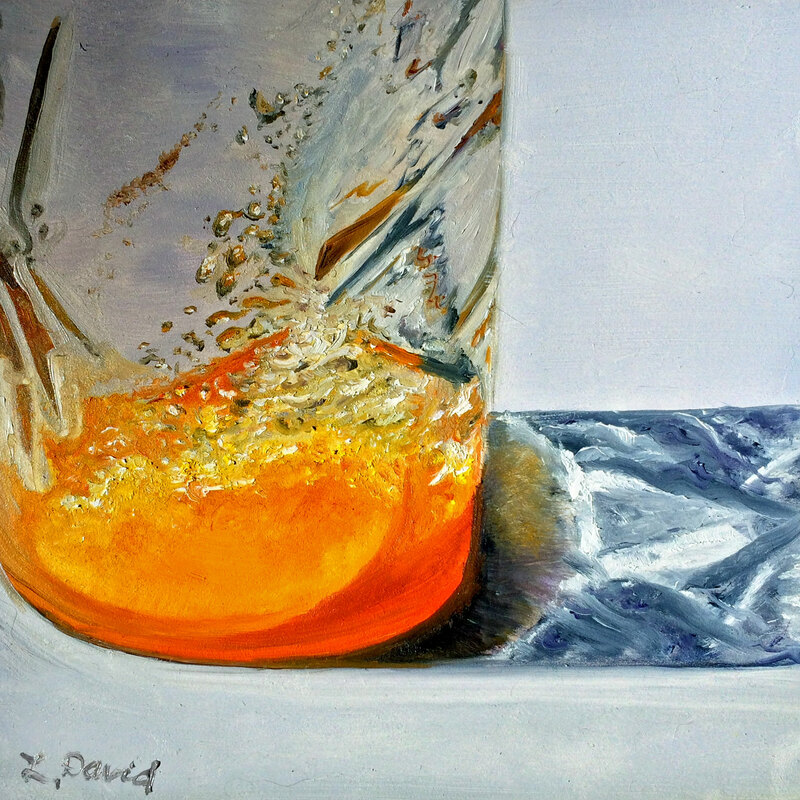 *Technical note: This was the first time I painted glass and it’s reflection. Very difficult- I have such respect for hyperrealists that hit this spot on… It was challenging, but I enjoyed the challenge! I love the way you captured the glass and reflection!